This song just popped into my head today. I haven't heard this one for like 9 years until it came out and this is totally genius. Bigdumbface was Limp Bizkit guitarist Wes Borland's obscure side project in the vein of Ween. Wes has done some really out of this world works on guitar and this is one of them. Simple but addictive. The middle part in this one is the best. Limp Bizkit's My Way would be a perfect song but Fred's vocals are kind of holding it back from being a timeless tune. The video was awful too. I used to hate all that Kanye hype way back. Now I'm more tolerant myself and basically can listen to anything and find something interesting in it. The interesting part isn't something I get a kick from but everything is worth a listen or two. But this made it's way to my blood pretty quickly and in a positive way. I remember hearing the intro and how it sounded weird and kind of a offbeat melody at first but as the beat kicked in it all made sense. The lyrics make sense too. That song's simple and naive melody and that low Merritt's vocal tone work really well together. It's sounds fresh to today as it did when it came out. 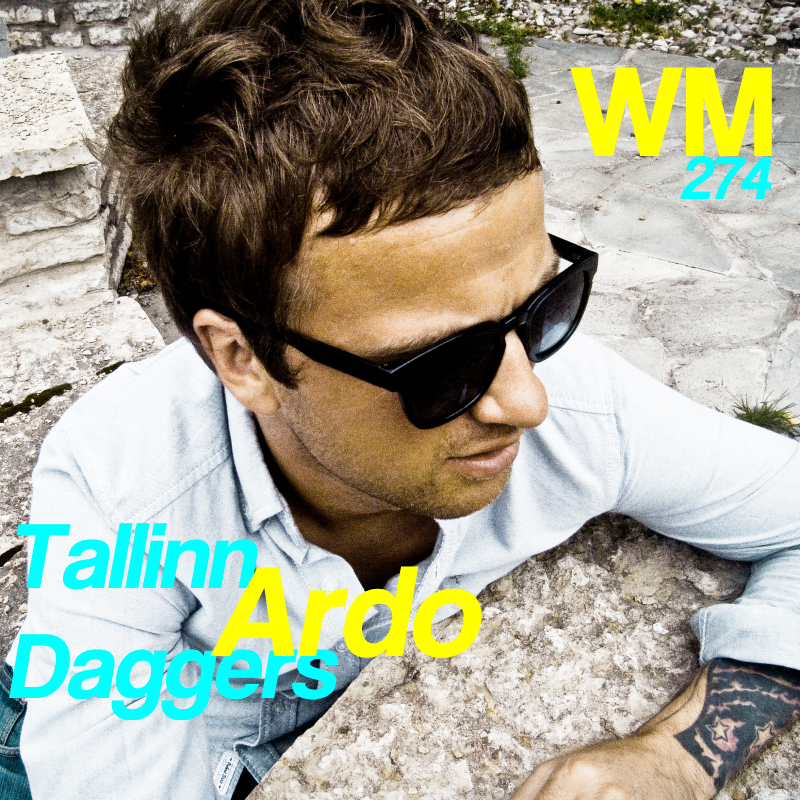 If it wasn't for that band, there would be no Tallinn Daggers. I remember seeing them live and the way they performed in front of the visuals, just two silhouettes waving their arms and singing along to their recorded tracks. It really made sense in a weird way. You have to look pass all the expectations and just keep the energy level up and make some really great music. We've been inspired by them in multiple levels. Music wise and biz wise too. Just doing everything DIY, starting our own label etc. I will definitely give them a hug if i'll meet see them around sometime. I have never heard so much attitude in a song. One of the punkiest songs by GN'R and that's because Duff wrote it. Love the lower version of Axl's vocals. I've been a fanboy since day 1. I got into this song through The Beach soundtrack where Sugar Ray covered it. Great movie with a great soundtrack. Tracked the original version down and loving it even more. It's Eno for God's sake. I guess that song sums up the feeling of popping E. Happy Mondays is such a big part of our band. I always wanted to do something so groove oriented but never knew how. They we're a big gang and really great musicians. I assumed it takes a big gang like them to sound so cool. We'll try to achieve this in a more minimal way. I still can't believe this track is from '66. It so ahead of it's time and it will never sound dated. Never. The Beatles have done so much for the music to come. Helter Skelter is arguably the first metal track ever recorded. Helter Skelter, While My Guitar Gently Weeps and this one are one of my favourite tracks of all time. This song totally takes you somewhere. It feels like you're going back or forth in time and somewhere you've never been before. Superb atmospheres. Best tune to relax to. Just kick back and close your eyes and breathe correctly. Breathe deeply.